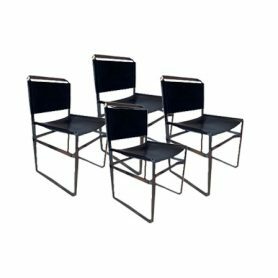 Ny Form Uli are precious vintage design chairs designed in 1970 by G.X. David. Leather seat and elegant shape, they are perfect to furnish your home with retro style.